Finished stuff! That's what's on my table! Hey! Finished painting the Ancient Briton Light cavalry. Managed to get them glued to the bases and have started terrain work. In the photos on the Baccus website I saw that they only put three light cavalry per stand. This allowed me an opportunity to use bigger boulders than I used on the foot troops. The "large boulders" are Woodland Scenics Medium Talus. I finally overcame my trepidation about basing the 6mm Ancient Britons! Took a bit of himming and hawing about what to use but I have made my choices and will stick with them for this army. For this week, something done! The six stands of GZG NAC that I plan to use for Hammer's Slammers are done. This was a norrowly missed disaster. I had originally thought to have them in tan static grass to look like an arid field. They just did not look right. 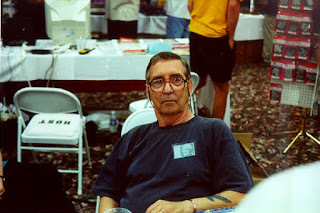 If you have somehow missed it, Larry Brom, author of The Sword and the Flame wargame rules, has fallen on some tough times with a number of medical issues. I know it seems like everyone is tugging at your shirt sleaves these days to give, give, give. But it is a rare opportunity when you can give back to a specific person who has created something that has brought pleasure to your life. 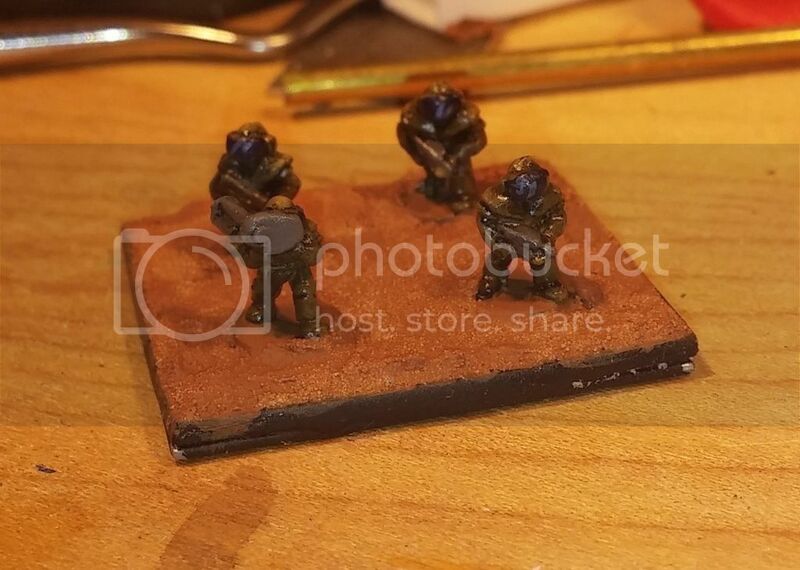 I spent a bit of time basing the 6mm Hammer's Slammers this week. As I mentioned in a previous post, my 6mm background is from way back in second edition Epic, aka Space Marine. GW provided a molded base the plastic figures popped into. A quick pass with green ground rubber flock hid all sins. So now I am on new ground (there's a pun in there somewhere!). The above base was made with Liquitex High Viscosity Ceramic Stucco Texture Gel Medium followed up with some Deltaceramcoat Autum Brown..
Labels: 6mm, GZG, Paint Table Saturday. I had split an order from GZG with Krimso (we're both diving into 6mm Slammers) and this evening he came by to pick up his share of the order, He brought along a four pack of some lovely Innis & Gunn Oak Aged Beer, SWMBO was out for the night, so we decided to play one of the games he brought along. 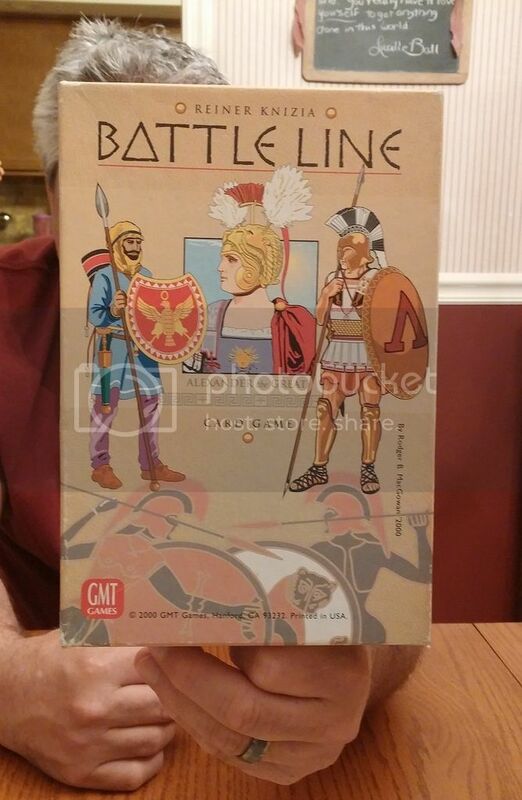 For this evenings outing we played "Battle Line" a game by GMT and created to Reiner Knizia.